The Waters Edge at Giovanni’s is a multifaceted business consisting of an event space, corporate meeting space, and restaurant. 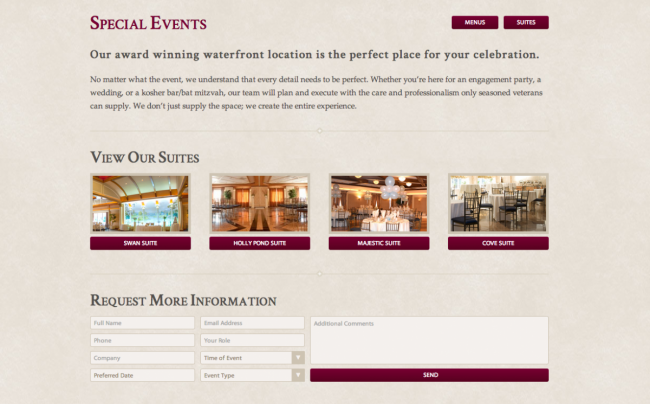 For this website, we designed around balancing all three aspects of the business, making site easily accessible for customers no matter what they needed from the Water’s Edge. Visually, the site reflects the spacious elegance of the physical space. A revised and more structured navigation system allows visitors to interact with whichever part of the business is most suited to their needs. 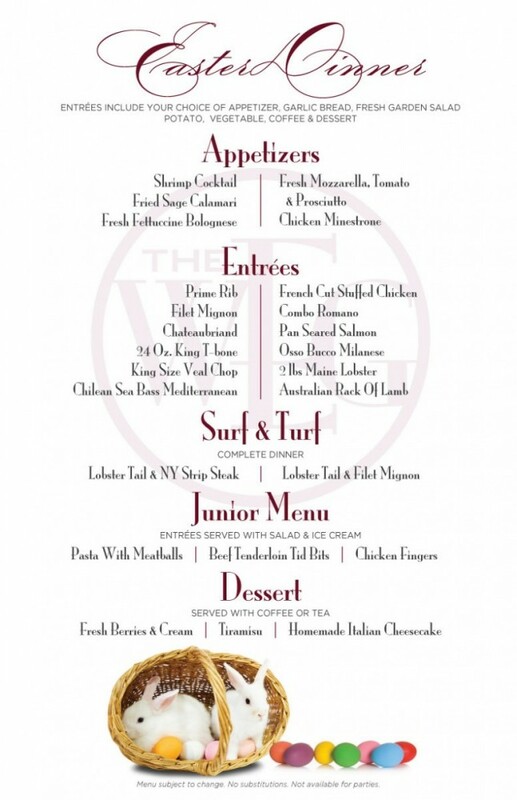 The site makes it easy for customers to find menus, contact information, and even to order right online. The redesign is also highly visual and features plenty of photographs to keep customers engaged so they know what to expect from the space. 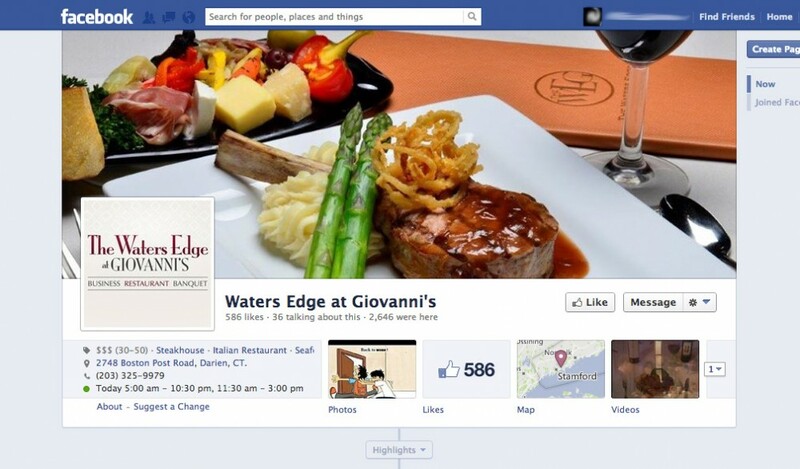 Best of all, customers can request information, book a reservation, or reach out to The Waters Edge at Giovanni’s without having to leave the page that they are on. 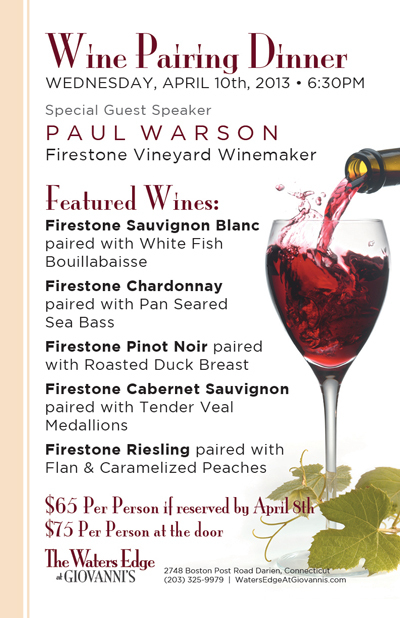 TVI also designed print ads for the Waters Edge at Giovanni’s such as this elegant poster advertising one of their wine pairings. 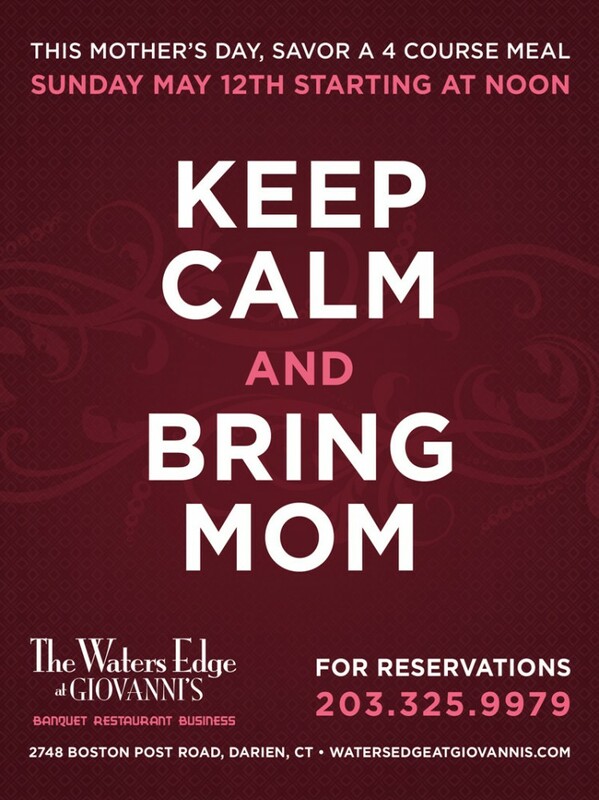 The fonts, colors, and design keep the visuals strongly in line with the Waters Edge at Giovanni’s website maintaining a consistent brand voice. 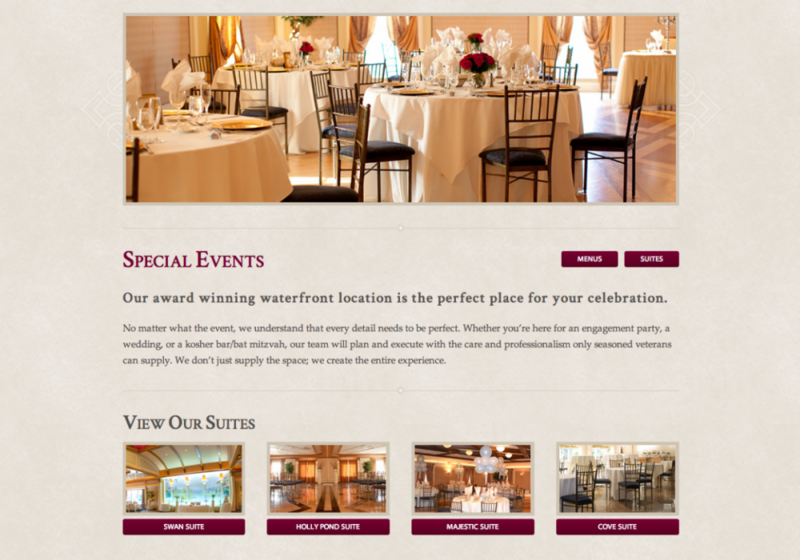 Other design work we’ve done for the Waters Edge at Giovanni’s include their menus, both online and off. Online advertisements such as this Facebook campaign for Mother’s day put a fun spin on their ads while still keeping tone (both visual and verbal) consistent across the brand.